CES 2015| Who Says A $2,800 Camera Drone Is Expensive? I can go on my phone and I can see through my drone. That’s right. Camera drones offer you the ultimate vision, allowing you to take amazing pictures and videos. At CES 2015, DJI, the leader in drones, has just unveiled a new edition that is an impressive combination of intelligent aerodynamics and photographic power. 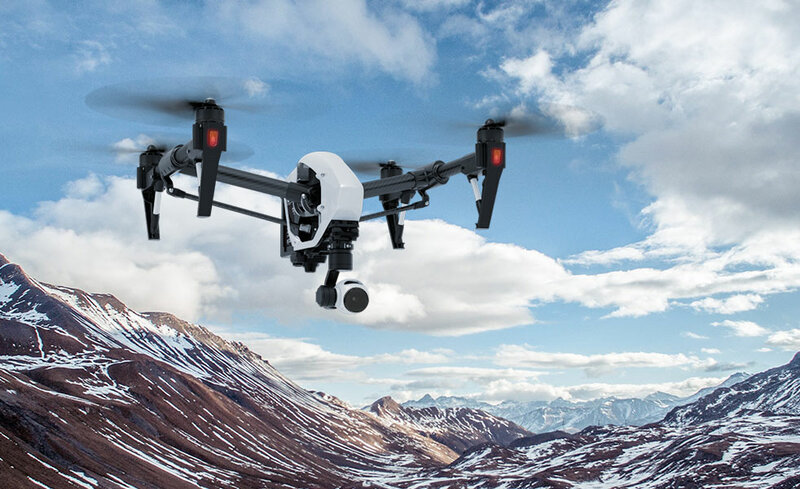 And at the $2,800 price tag, the Inspire 1 isn’t cheap at all, but it packs an unparalleled suite of technology in its arsenal. Constructed from carbon fiber, the drone has a transforming design that provides an unobstructed 360-degree view. The legs raise up, allowing the camera to swivel 360 degrees. There is a 4K Ultra HD camera that is capable of capturing 12-megapixel photos at variable speeds of up to 7 shots per second and 4K videos, and then it can wirelessly stream those files from a distance of up to 1 mile. The drone is equipped with GPS, of course. However, unlike the GPS technology on other drones, this new drone can be completely stable without any GPS signal. A set of three optical sensors on the bottom of the drone help it navigate and avoid running into anything, even indoors. 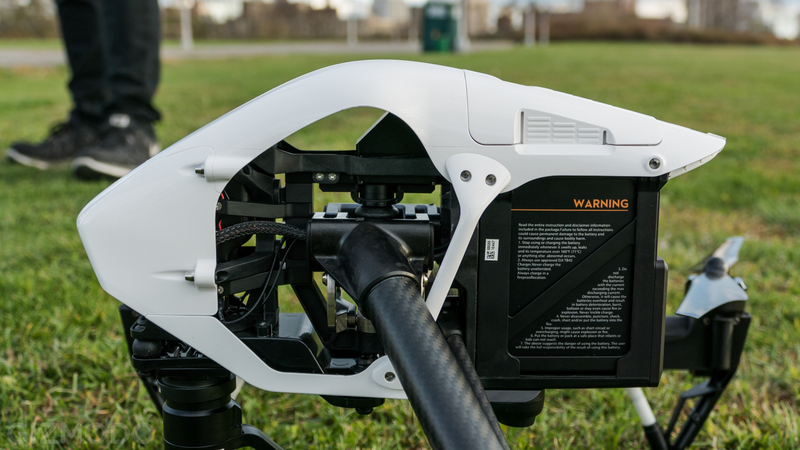 It will speak up to you when the drone is within 18 inches of the ground and automatically adjust the legs down for landing. “The spirit of the DJI Inspire 1 is found in the innovation, creativity, and determination that has lifted the human race from the ground to the sky. We’ve found ways, and we will continue to find ways, to achieve the impossible and break through to new worlds,” said the DJI Team. 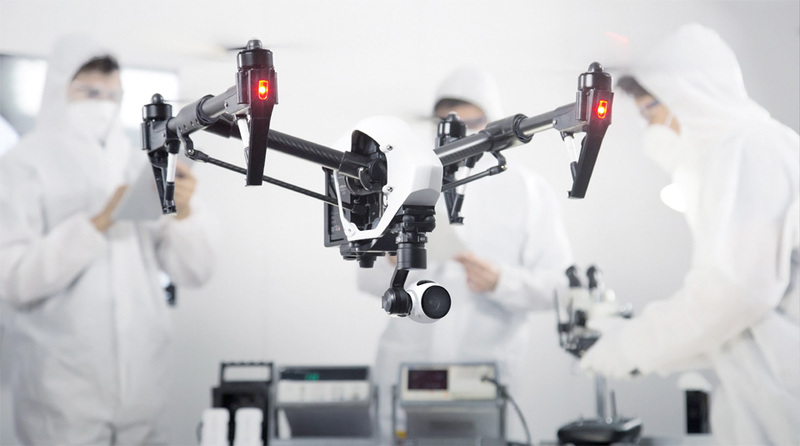 For the first time ever, the drone can be geniously operated by two controllers simultaneously, so that one can fly it while the other operates the camera. Inspire 1 is available now at the price of $2,875 for the one-controller version, and $3,300 for the two-controller version. An update with more functions for the comprehensive mobile app is coming soon.